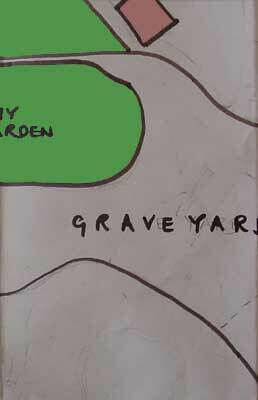 From the garden of our house it is possible to peek over the wall into the Oldton graveyard. It's not a spooky place at all. The stones nurture beautiful rust- and sulphur-coloured lichens. 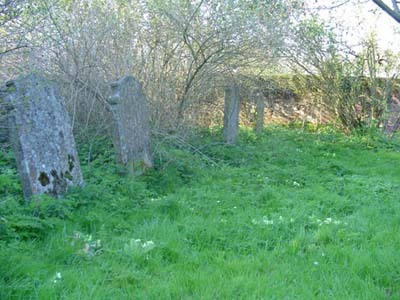 In the spring primroses swarm around the headstones. The bees hum, the pigeons coo, the crows caw. The dead people really do rest in peace. Wandering around you may find the place of rest for several Lamberte family members and perhaps a Boyce or two. In Oulton, Paul has found a headstone marked 'WRIGHT'. But my dad was cremated - and I still have some of his ashes - so it can't be him.